Born and raised in Unken (Salzburg), folk music and traditions have always loomed large in his life. At first passively, later when he started to play the violin actively. Both making music and dancing to it. After many years of village life including everything that one could imagine, Haitzmann moved to Vienna. 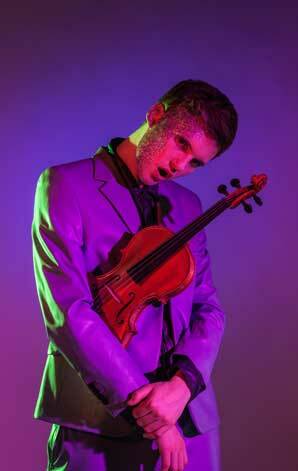 There he has been living since 2009 and studies jazz violin under Andreas Schreiber at the Anton Bruckner University as well as baroque violin under Michi Gaigg and performance art under Carola Denting at the Academy of Fine Arts in Vienna. Furthermore he is a founding member of the ensemble ALMA (www.almamusik.at) and performed in productions by Anna Mendelssohn and Ursula Reisenberger. Currently he is touring with Simon Mayer’s performance piece ‚Sons of Sissy‘.